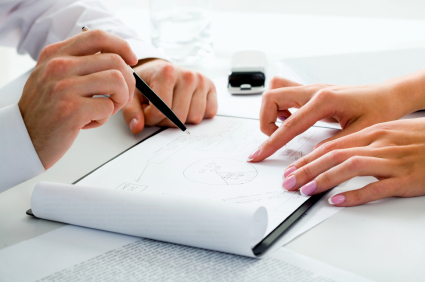 We are sometimes engaged to close loans on behalf of entities providing financing for individuals or projects. Often, there are a number of parties participating in the loans. In other words, different parties are pooling different sums to come up with the total amount of the loan. In these scenarios, it is essential that the relationships among all of the participants be properly and clearly documented. Most established lenders use form participation agreements. When several friends come together to pool resources and lend money , that is often where we see a lack of documentation which can have unintended and often ugly consequences. We are often amazed when we are asked to foreclose on loans that we have not closed, and we find that the participation and the rights of the different parties providing the loan are not properly documented. A participation agreement among all participants should be drafted by loan counsel and executed by all participants well before the closing of the loan. Key elements of the participation agreement are the naming of an “agent” to act on behalf of the participants, and the establishment of the rights and responsibilities of the agent and the participants. Generally, the agent is responsible for the management of the loan and the disbursement and collection of all funds on behalf of the participants. A lengthy list of the agent’s obligations and limitations is generally the linchpin of the agreement. The agent is generally responsible for collection of the proceeds from all of the participants prior to the loan closing; coordinating the closing of the loan; managing and servicing the loan after closing; collecting all funds and making all disbursements to the participants during the loan process; managing compliance with the loan documents; enforcing the loan covenants and satisfying the loan upon payment. The agent is generally compensated by retaining a percentage of the interest collected or earning a pre-established fee equal to a percentage of the outstanding principal of the loan, on a per annum basis. Sometimes the agent is compensated with a flat one-time fee for acting as agent and servicing the loan for the participants. The agent’s fee is a critical element of the transaction, and it should be properly documented so as to avoid any misunderstanding among the participants. Our other real estate attorneys and I have a great deal of experience with these and other types of financing structures, and we write regularly in this blog about important business and legal issues for the commercial/industrial real estate industry in Florida. We encourage industry followers to submit their email address in the subscription box at the top right of the blog in order to automatically receive all of our future articles.